Is a pets-at-work policy wellness’ new best friend? In this article by BenefitsPro (a resource for HR managers), you’ll discover the 2012 study which showed that employees whose dog accompanied them to work actually had lower stress at the end of the day compared to the start (the opposite was true for employees who were not accompanied by their pet). Is a pets-at-work policy wellness’ new best friend? | BenefitsPro. 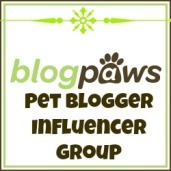 I wish I could work at Petplan USA, the pet insurance company based in Philadelphia, Pennsylvania. Why? They’re pet-friendly! That’s 24/7 pet-friendly not once-a-year-we-allow-pets-to-come-to-work-friendly. This progressive workplace allows pet parents to bring their animals to work, creating an environment that is productive and happy. A clear majority of workers surveyed by American Pet Products Manufacturers Association felt that having pets in the workplace leads to a more creative environment, lessened absenteeism and improved the relationship between managers and employees. Workers who are allowed to bring their pets to work are more likely to work longer hours because they aren’t worried about getting home to their animals. (And let’s face it – America has a culture of working some really long hours – many New Zealand employers are heading in this direction). Healthy Paws. All pets must be current on their vaccinations and receive monthly flea and tick treatment. Manners Please. Pets must be socialized and well-behaved. Aggressive behavior towards people or other pets will not be tolerated and any pet exhibiting such behavior will be asked to leave. Port a Potty. Dogs must be housebroken and cats should use the litter tray in the mail room. In the event of an accident any damage is the responsibility of the pet parent. If a permanent stain results then said pet parent will be responsible for the cost of hiring professional cleaners to remove the stain. Three accidents and you’re out. Off Limits. Other people’s food, the front conference room and any communal building areas outside of the Petplan offices are off limits to all four legged workers. If you need to walk your dog please always make sure that they are leashed and that you use the back door to the building and clean up any mess. Going Solo. Pets are to be supervised at all times. If you know that you are going to be absent from the office for a period longer than 30 minutes then do not bring your pet in on that day. Chow Hounds. Pets are not to be fed in the offices (that includes pet food and pet treats as well as human food). A water bowl is always readily available in the kitchen. Puppy Love. Because not all pets get along with each other, as a consideration to fellow team members please send an email out to Internal Workforce the day before bringing your pet(s) into the office, if your pet(s)are selective in who they consider their friend(s). In the Doghouse. Destructive behavior will not be tolerated. If a pet willfully causes any damage to property within Petplan then they will be asked to leave the office and their owner will be liable for any costs associated with repairs. Following the above rules will ensure that coming into Petplan every day really is a dog’s life, whether you are a dog, a cat, or even a human. I’ve written for some time now about hotels that offer pet-friendly accommodation for dog owners. I am now extending my research into firms that have pet-friendly workplaces. First up: Replacements Ltd. This firm was founded in 1981 and is the classic case of a person who turned their hobby into a business (no need to guess why that appeals to me). During the 1970s, founder Bob Page spent his weekends collecting china and crystal. Friends would ask him to keep an eye out for certain patterns (as replacements for pieces they had lost or broken. He began buying more and more pieces, storing them where he could in his house. By 1981, he had left his job as an auditor to found Replacements, Ltd. The company’s facilities now are the size of seven football fields, housing 13.8 million pieces. Some of these pieces are more than 100 years old. 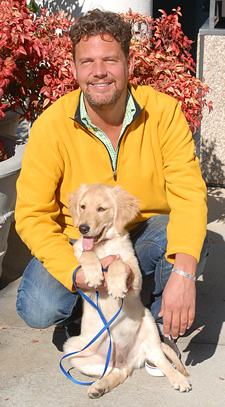 Bob also brings his two dachshunds to work with him and, out of his love for his dogs, he encouraged his staff to bring their dogs to work as well. 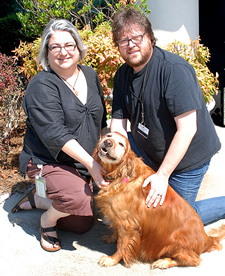 The company now promotes the pets of its staff through its newsletter in a column on Featured Pet (and Pet Owner!). The company even encourages customers to visit them with their well-behaved pet. 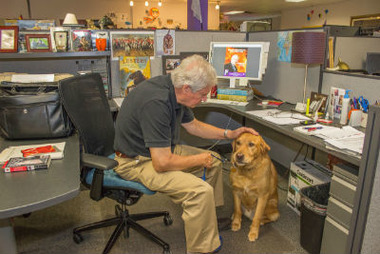 Partially in recognition of the take your dog to work policy, the company was awarded the 2009 Psychologically Healthy Workplace Award by the American Psychological Association. Replacements, Ltd – I salute you!